An excellent aquarium oxygenator, Elodea densa is great for teaching plant respiration, photosynthesis, and plasmolysis. Elodea densais an excellent alternative if Elodea canadensis or Egeria najas are restricted in your state. Tips are not recommended for aquarium use. 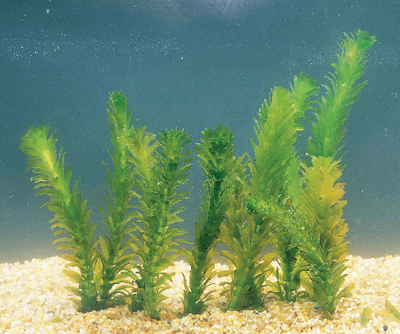 Instead sprigs can be rooted in substrate, or floated on water as a food source or hiding place for fish and snails. Ordering information: May be restricted in some states, check with your state's Department of Agricutlrure for restrictions. 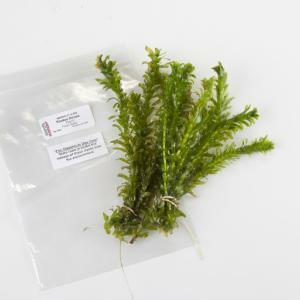 Elodea canadensis or Egeria najas are also available as alternatives. Delivery information: These specimens are perishable and will ship via 2-day delivery. Please provide a requested delivery date. 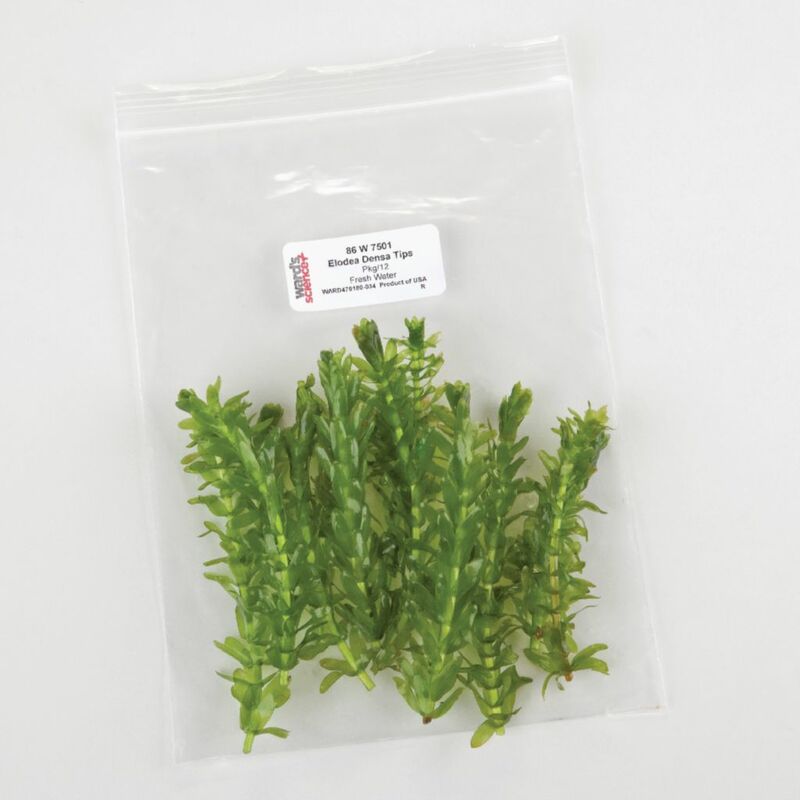 Packaging: Plants are provided in waterproof, plastic bags that keep plants both fresh and healthy. Care instructions available online.